Certain books become a classic in their field of study because of their comprehensive nature (i.e. The City in History). Others do from their advocacy and groundbreaking nature (i.e. Silent Spring). In the case of Bikenomics: How Bicycling Can Save the Economy, both of these reasons apply. Author Elly Blue has written “the” definitive book on bicycle planning that clearly identifies the societal, physical, environmental, and economic benefits of bicycling, while also completely debunking the myths, fables, urban legends, half-truths, and outright lies spread by naysayers and automotive apologists. Facts are funny things. They tend to get in the way of spurious and superfluous arguments. In Bikenomics, Ms. Blue lays down the gauntlet with factual truths about bicycling and how a vibrant cycling culture can go a long way to curing many of our nation’s ills. If one could quote the entire book in a blogpost, I would. There are so many quotable gems contained within this publication, that I could fill gigabytes of pages with them. But alas, you should read the book, so I have only provided a few of them at the end of this post. Believe me when I say this is a book that every planning professional must read and own. It will single-handedly serve as your go-to resource on the benefits of bicycle planning in your community. Kudos to Ms. Blue providing all of us with a fantastic source of information. Enjoy! Does your community suffer from power pole blight? In some places, the primary roadway corridors look like a long, linear parade of power pole blight. Sadly, all too often this leaves communities in the region with disjointed and unpleasant streetscape aesthetics to viagra for sale overcome. I know Greater lansing is not alone, as I have seen power pole blight across many parts of the Rust Belt. Seriously…in the middle of a roundabout? Attempts have been made to convince area utilities to remove portions of the visual blight and bury the power lines, but that is usually greeted with consternation and rebuttals on the costliness of such actions. If the community or property owners wish to pay for burying the lines, they would be glad to oblige. As a result, instead https://twitter.com/drjonesbilly of a modern and efficient electrical grid, numerous locations end up with a cobbled together third-world styled electrical grid that struggles to maintain service during ice, snow, and wind storm events. One would think that after a certain number of repetitive power outages and emergency repairs to broken, damaged, and fallen power lines, electric utilities would initiate https://twitter.com/drjonesbilly routine burying programs on their own to reduce the number of outages and their firm’s long-term maintenance costs. Throw in discount viagra regular tree trimming efforts and eventually burying power lines doesn’t look so expensive anymore. Apparently the bean counters differ on that assessment. Years ago, power utilities were often active participants in economic development, community enhancement, redevelopment, and revitalization efforts. It was seen as a way to increase the utility’s customer base. Today, some utilities can be a stubborn impediment to new initiatives and progressive streetscape design ideas. Whether this is a function of the short-term profit mindset or local firms being bought out or merging with multinationals is not entirely clear. Unfortunately, whatever the reason, local communities across the Rust Belt and other parts of the nation are left with paying the price of power pole/line blight with unsightly pincushionesque landscapes dotting the horizon. No one is advocating for the burying of the entire power line infrastructure. That would be viagra for men impractical. But, in those areas where the power poles have become overbearing and omnipresent, or in places where redevelopment and revitalization efforts are trying to get underway, burying the power lines makes sense. As stakeholders in the community and https://twitter.com/drjonesbilly the Rust Belt generally, it is hoped the region’s utilities will join any and all localized efforts to achieve a more aesthetically pleasant streetscape and overall community vision. Once again, it appears that “build it and celebrate it” no matter the past sins (or future consequences) reigns supreme among economic developers. While hyping an announcement of more jobs and new construction in Greater Lansing, the fact that the insurance company in question challenged its property taxes using the “functionally obsolete building” scheme in 2010 was conveniently overlooked (see article in City Pulse). If you are not familiar with the “functionally obsolete” tax game that is being employed most often by big box retailers, the claim that is made is their building is “functionally obsolete” because it was specifically designed and built for their purpose and no other entity could possible adapt it. Needless to say, the whole argument is rather sketchy, but unfortunately, state tax tribunals have been swallowing it hook, line, and sinker. This argument might be plausible or reasonable if the structure was 20+ years old, but it is also being made for newly/recently constructed buildings. The story in the May 8, 2013 edition of City Pulse is an example of the same scheme being used for an office building. Exactly how hard is it to move cubicles, desks, and partitions? The professional planning community needs to address this issue and fast. If a building is to become so dysfunctional (or functionally obsolete) so quickly, should it be approving for construction in the first place? And if it means the local property taxes are going to soon take a backhanded hit in the process, even more reason to deny the project unless the applicant certifies the building will be erected In an manner that is not dysfunctional (a.k.a. functionally obsolete). Most special use (or conditional use) permit approvals require a community to determine whether the use “will not be detrimental to the economic welfare of neighboring properties or the surrounding community.” If the proposed building is to become “functionally obsolete” within ten years, no realistic or reasonable decision maker should approve its construction. Otherwise, all they are doing is losing badly at a zero sum game. The title of this post may be a bit controversial, but can also be sadly true. Far too often, it seems a blind eye is turned toward the sins of the past just to generate new economic investment. A perfect example is portrayed in the past week’s (April 17th edition) of City Pulse by an article entitled “A Tax Break Won’t Change This.” While tax breaks are being offered to GM for additional investment in Greater Lansing, a ginormous vacant parking lot blights the near south side of the city, not to mention additional deteriorated sites along Saginaw Highway on the west side of town. This case is not alone, as the Rust Belt is littered with leftovers of its industrial history – hence the nickname Rust Belt. Is disregarding the fouled legacy of past sins what economic development is supposed to be all about? I certainly hope not. Sadly, concerns about the past sins tend to get drowned out by the hype, hoopla, and hyperbole over new (or saved) jobs and investment. While those are important, they are NOT the only things that foster economic development and improve a community. Pleasant and safe neighborhoods, good schools, well-maintained infrastructure, quality public services, environmental stewardship, beautiful parks, inspired art, creative and new ideas, and many other community attributes also spur economic development. Vacant and blighted parking lots, abandoned industrial sites, polluted environment, underfunded schools and public services, and discarded communities are not the seeds necessary for sewing a healthy and vibrant economy. They are the seeds of our ultimate demise as a place where people want to live or work. The economic development community needs to do some serious soul-searching and start to stand up for enhancing “community” in more ways than the perceived and spouted panacea of jobs which is so narrowly focused and aspired to. Otherwise, they/we are nothing more than a bunch of glorified used-car salespeople, and we know how well they rate in the court of public opinion. My definition of bipolar urban areas are those that have two principal cities at their core but that have each taken nearly opposite paths socioeconomically. The two cities possess Jekyll-and-Hyde-like qualities–one being quite healthy and prosperous while the other suffering from poverty, economic distress, or environmental degradation. While every significant urban area has its areas of poverty, distress, and degradation, a bipolar region differs in the fact that one of two primary core communities is the site of concentrated problems. Unfortunately, in some cases the socioeconomic differences can be so stark that it’s almost like a third-world city has developed directly adjacent to a first world city, even though in many cases they exist in the same country. Here are some examples of bipolar urban areas in North America. These stark differences can be easily observed by both the residents and the millions of tourists alike in the Niagara Falls region of New York and Ontario. The Niagara Falls region has been a tourist destination for many decades due to its awesome natural wonders–not just the waterfalls themselves, but the whirlpools, rainbows, nearby Great Lakes, and the impressive gorge below the falls. Combine those with numerous tourist attractions and historic sites and you have a recipe for long-term economic success on both sides of the border. But Niagara Falls, New York and Niagara Falls, Ontario have followed two different paths since World War II and have ended up at nearly opposite ends of the socioeconomic spectrum. Niagara Falls, Ontario is a busy tourist destination with a pleasing mix of modern and stately hotels, gorgeous and carefully manicured parks and gardens, scenic parkways, lovely neighborhoods, and busy commercial centers. Granted, it can be argued that Ontario has the better overall view of the American and Canadian (Horseshoe) Falls, but that alone shouldn’t have led to such a vast and visible difference right across the river. For many years, parts of Niagara Falls, New York seemed virtually desolate compared to its vibrant Canadian neighbor. Instead of relying largely on tourism as Canada did, Niagara Falls, New York also used the enormous raw power generated by the falls to become an industrialized city. As a result, when those industries began to falter, the city declined in suit. Downtown has seen a number of revitalization schemes put in place, some successful, others not. Much of the city’s breathtaking riverfront was marred by the limited access Robert Moses State Parkway, which also cut the city off from its source of fame and fortune. While the state parks abutting the falls remain busy, access to the heart of the city was impeded. Power plants and chemical plants were built (and in some cases abandoned) in the city, while electrical transmission and distribution lines crisscross the landscape. Among the most heartbreaking legacies are the remnants of industrial indiscretions which have left visible scars —Love Canal being the most infamous. Niagara Falls, New York has never fully recovered from its industrial course and today remains a symbol of Rust Belt decay and dismay. The city’s population loss reflects this, as it has fallen from a high of 102,394 in 1960 to a mere 50,193 in 2010. On the other hand, Niagara Falls, Ontario is simply a delight to visit. Beautifully landscaped parks and gardens, neat and trim neighborhoods, prosperous business and shopping districts, a growing and very impressive skyline for a city its size, well-maintained infrastructure, and a healthy and appealing ambiance all garner kudos. Each time I have visited Niagara Falls, Ontario I have been more impressed by the pride evoked by its citizens and business community. As a result, Niagara Falls, Ontario’s population has grown over the same decades, increasing from 22,874 in 1951 to 82,997 in 2011. Are there ways to reverse the decline facing these urban Mr. Hydes without displacing those who have struggled to weather decades of socio-economic distress? Only time will tell. But, as urban planners, I believe part of our social, ethical, and moral responsibility is to seek viable solutions to such problems and do our level best to see them implemented. In Niagara Falls, New York’s case, the first thing I would consider is demolishing and/or converting the limited access Robert Moses Parkway into a landscaped grade level boulevard with an adjacent but physically separated scenic bicycle trail overlooking the river and gorge. Apparently, I am not alone in the idea of removing the limited access highway. The multi-purpose bicycle trail would extend from one end of the city to the other and hopefully all the way to Lake Ontario. Once the boulevard and bike trail have been established, a series of attractions could be developed along with a mix of low to mid-rise, ecologically friendly lodging and entertainment venues overlooking the lush surroundings. Linking these with attractions such as the Niagara Gorge Discovery Center and Trailhead, Prospect Point, Terrapin Point, Cave of the Winds, Goat Island, a proposed Nikola Tesla Science Museum in the world’s first hydroelectric plant, the planned restoration of the Niagara Gorge Rim, and the very successful ArtPark. Most important would be to incorporate a variety of residential options along and near the boulevard/bike trail and provide direct walkable connections from downtown, existing residential areas, and other parks. The inclusion of residential options will assist in building a local client base for area businesses as well as provide new housing options within the city itself. Unlike many cities facing difficult socioeconomic challenges, Niagara Falls, New York does have numerous great natural, scenic, ecological, and historical elements from which to build a strong economic base. It also has serious name recognition. From the list of existing and planned projects provided above, it is evident that they are working diligently to re-establish a thriving community. Kudos on their efforts to date and continued best wishes to Niagara Falls for the future. This post was originally shatavari published on panethos.wordpress.com. Kudos to Carmel. No…I am not talking about Carmel, California, which is indeed a gorgeous town overlooking the Pacific Ocean. In this case I am complimenting Carmel, Indiana, a large suburb of approximately 80,000 residents located just north of Indianapolis. When I was growing up in Indy (way back when), Carmel was largely nondescript, with sprawling subdivisions across tulasi cornfields. It was best known for powerhouse football and basketball teams and the Carmel movie theater (sadly no longer there). The pharmacy7days-online downtown area at the time was very small and other than the theater was largely underutilized. Today, aside from high school sports, Carmel is also a clear trendsetter in place making. The current header for Panethos was taken at one of many roundabouts in the city with a lovely fountain in the center and mixed use developments bordering on two sides. 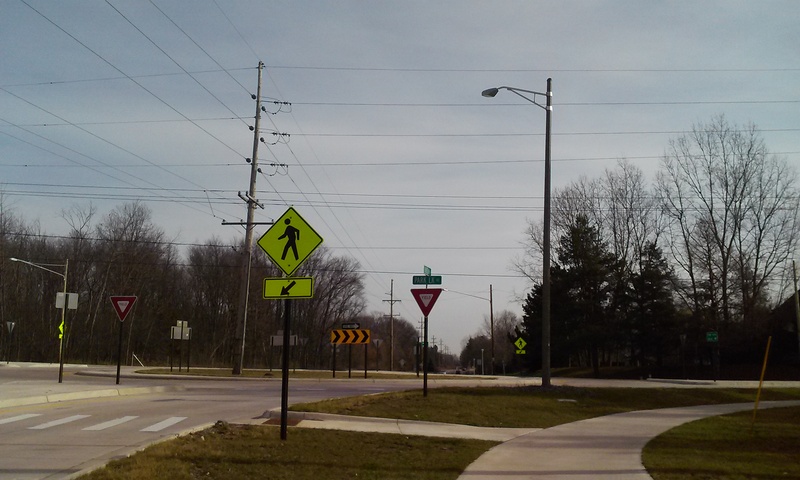 Carmel has the distinction of having more roundabouts than any other city in the United States (60+), including several impressive ones built over State Route 431 brahmi site (Keystone Parkway) in order to make it a limited access parkway. Artwork and sculptures line the downtown streets, while a magnificent performing arts center (The Palladium) recently opened at the south end of downtown. All these items are linked by an impressive and growing network of paved trails/greenways for bicyclists, pedestrians, joggers, and other trail users. Among them are the Monon Greenway and White River Greenway. Carmel may not be perfect in the eyes of all urban planners, but the city has made huge strides to create an urban center, add placemaking features, increase density, and improve walkability and bikeability. I was pleasantly surprised and quite impressed during a tour of the city haridra online on Christmas Eve. My own preference would be for the city to focus its http://pharmacy-7days-canadian.com/avelox-cost.html density and placemaking efforts in the downtown area and surrounding vicinity before trying to create new areas of density via new urbanism projects like West Clay on greenfield sites. Got to Visit this site admit the art-deco CVS store in the adjacent photograph is cool from an architectural standpoint, but seems quite out-of-place where it is located nearly surrounded by undeveloped greenfields. In addition, transit options need to be enhanced and expanded to further reduce automobile dependency and to give the disadvantaged more access. Below are a few photos taken of the reinvigorated heart of Carmel, Indiana from just last Saturday. No longer just sprawling subdivisions and bland shopping centers, pharmacy there is indeed a place there. Kudos to the City of Carmel and its residents and best wishes on their continued success. Exciting news: There will be Jane’s Walks (neighborhood tour/walks in the spirit of urbanist Jane Jacobs) in both Cleveland and Pittsburgh -along with dozens of other cities- on Saturday. Click here for more information about the walk Saturday, May 1, in Pittsburgh in the Polish Hill neighborhood (pictured above). Click here for more information about the walk Saturday, May 1, in Cleveland in the Ohio City neighborhood. It looks like John Morris at Digging Pitt (a frequent RustWire reader and commenter) helped organize and push for this in these communities, so thanks for your hard work! Frequent Rust Wire readers will remember there was also a post about the idea on here that got a lot of response and enthusiasm, so I hope these events are well-attended. I’m planning on going to the one in Pittsburgh. If anyone goes to the one in Cleveland, RustWire would love to hear about it/see your photos!